• Adele Peters reports that a game is teaching girls how to avoid child marriages which are dangerous and damaging to individuals and society. • How can funders help to improve and expand proven methods of preventing child marriage? How does this game work (or not work) across cultures? • Learn about five girls whose lives were changed by child marriage. In the game, “Arranged!,” which is funding on Kickstarter, players take the part of a girl trying to creatively avoid a matchmaker and to marry for love instead. 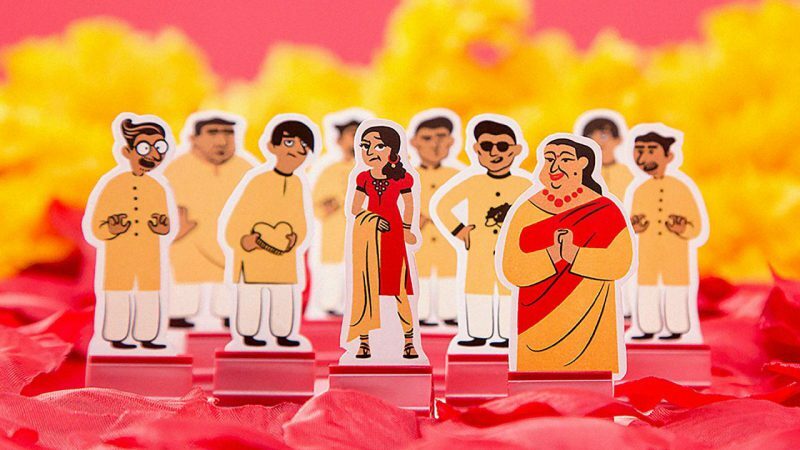 Balagamwala hopes to raise enough money through the game that if she’s soon being forced to get married by her family, she can fly out of Pakistan; making a product also makes her eligible for a particular type of U.S. visa. (The O-1 visa for workers with “extraordinary abilities,” which includes a subcategory for artists, could be easier for some people to get than the HB-1 visa, which uses a lottery system; of course, it could still be hard to get in the current political climate, particularly for a Pakistani Muslim, and a Kickstarter project may not be enough). She’s also hoping that the game can help other young Pakistani women realize they have more options. Among her friends who tested the game in Pakistan, she says that it’s inspired them to take more active roles in their futures. “It’s even giving these women ideas to actually avoid [arranged marriage],” she says. Read the full article about avoiding child marriages by Adele Peters at Fast Company. Giving Compass' Take: • The Battery gives us a landscape of women's rights and empowerment, highlighting their work to advance progress in three key areas: reproductive health, economic access and self-determination. • What can those in the international aid field do to support such causes? How does family planning play a role? • Here's info on why women are hit hardest by a lack of adequate WASH access. Women’s rights are human rights. It seems this should be obvious (and indisputable), like gravity. Women and girls make up about half of the world’s population, and therefore half of humankind’s potential. When women and girls are valued and empowered, when their dignity is respected, when they can make their own decisions about their health and determine their own futures, when they can participate and contribute in all facets of life, everyone benefits. Sadly, for too many, the importance of women’s rights is anything but obvious. Because women’s health and dignity are indivisible to the health and dignity of communities and nations throughout the world, we are committed to finding and supporting ideas and approaches that are vital to unleashing the enormous potential of women by changing the economic, social and cultural barriers that hold them back. Throughout the world, organizations are doing important work to advance the health and dignity of women and girls. We focus on three areas we believe are most vital to making significant progress: Maternal and Reproductive Health Dependable, accessible health care and reproductive freedom are central to a woman’s ability to determine the course of her own life. Our Approach: Education and Access Winning and Guaranteeing Women's Rights Economic Access and Advancement When a woman is able to get an education and put her unique talents and skills to work in the world for herself and others, everyone benefits. Our Approach: Rights and Representation Education and Training Safety and Self-Determination When these basic rights are recognized, respected and advanced for women, societies become stronger. Our Approach: Education for Prevention Access to Essential Services Political Will for Reform and Enforcement Read the full article about women's health and dignity at The Battery. If you are looking for opportunities to learn and connect with others interested in the topic of Women and Girls, take a look at these events, galas, conferences and volunteering opportunities aggregated by Giving Compass. In addition to learning and connecting with others, taking action is a key step towards becoming an impact giver. If you are interested in giving with impact for Women and Girls take a look at these Giving Funds, Charitable Organizations or Projects.